The transcription and first translation into English of a manuscript by a fifteenth-century mariner, including treatises on shipbuilding, mathematics, astrology, and calendrical computation. In the fifteenth century, a Venetian mariner, Michael of Rhodes, wrote and illustrated a text describing his experiences in the Venetian merchant and military fleets. He included a treatise on commercial mathematics and treatments of contemporary shipbuilding practices, navigation, calendrical systems, and astrological ideas. This manuscript, "lost," or at least in unknown hands for over 400 years, has never been published or translated in its entirety until now. Volume 2 contains a transcription of the handwritten text in the medieval Venetian dialect of Italian and, on facing pages, its translation into modern English. 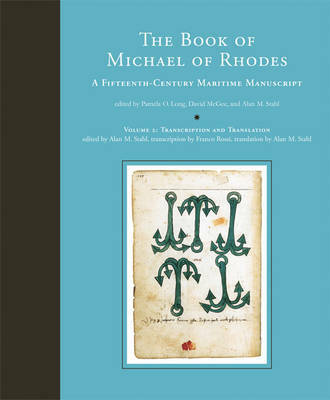 Michael's book includes the first extant treatise on naval architecture, a 200-page treatise on mathematics in the tradition of medieval and Renaissance abbacus manuscripts, texts on navigation including portolans (sailing directions), and Michael's autobiographical service record-unique for Venice in this period and noteworthy for being the personal record of a man of non-noble status and foreign birth.